SALT LAKE CITY – May 7, 2015 – Real Property Management, the nation’s leading property management organization, and RentRange, the nation’s leading provider of Rental Market Intelligence™, together release “Rental Housing Statistics” that shows national rental home rates are rising. View the “Rental Housing Statistics”. Through the first quarter 2015, the companies reveal that the average monthly rent for single-family homes was $1,286, representing a 5.4 percent year-over-year increase. The rental market data was limited to three-bedroom single-family homes in the U.S. 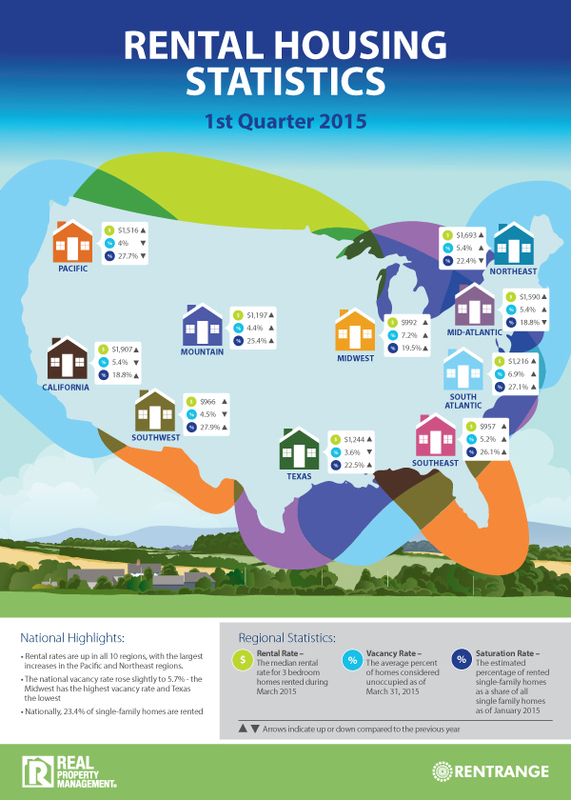 Rental rates were up in all 10 regions analyzed in the report. The Pacific and Northeast regions saw the largest upturns with 13 percent and 10.9 percent year-over-year increases, respectively. On the other end of the spectrum, the Mid-Atlantic and South-Atlantic regions had the lowest gains at 1.6 percent and 2.6 percent year-over-year increases, respectively. The “Rental Housing Statistics” also examined vacancy rates, the percentage of homes considered unoccupied, through the end of the first quarter. The national rate rose slightly to 5.7 percent, up .09 percent year-over-year. The Midwest region had the highest vacancy rate at 7.2 percent whereas Texas had the lowest at 3.6 percent. Lastly, the report analyzed the saturation rate across the country. This is the estimated percentage of rented single-family homes as a share of all single-family homes. 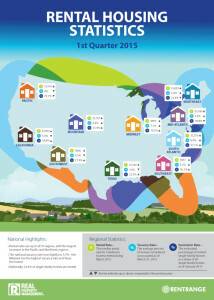 Nationwide, 23.4 percent of single-family homes are rented, according to the data. This is a great report, even in a small market like Cedar City, Utah we have seen higher then average rental rates and they continue to edge up. Another issue is lack of rental properties, RPM Cedar City is at 98% occupied and with that said now is a great time to invest in this market. Investment properties are in the $100k’s for a 3 bed 2 bath home with rents ranging between $850 to $1000/month. Visit https://www.rpmcedarcity.com to contact us.